Old Wainds were formed back in 1995 among the desolate northern landscapes of Hyperborean Russia, far beyound the Polar Circle in the city of Murmansk. Their severe northern Land, it's Purest Nordic Spirit and atmosphere were the main sources of inspiration through the whole history of Old Wainds. "Yee, the Northern Wind of malice, your power is the one of the god - these ruined churches with the broken windows would witness. Lo, the Wind! You are the ruler of this Glorious Land. Among the morbid dwarf trees and the wastelands of black moss. Here the air is drunk with the blood of the ancient battles. Here, where the Snows are never gone... This is my Northern Soil. The frozen rivers, where the moonshadows gleam eternally. And these pale stars, they are but an echo to the snowfalls..." (from "Here, Where the Snows are Never Gone" lyrics). 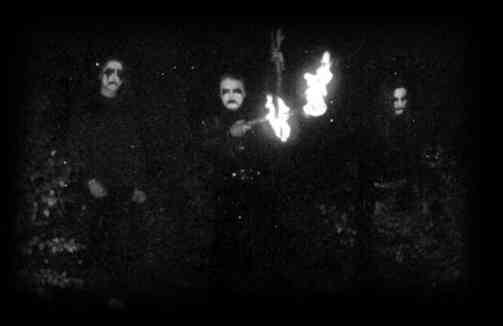 Three Unholy Nordic Souls of Frost are the supreme forces behind the band since the very beginning - Morok, Kull and Kholdogor. On the later albums known as Haucium, Mefisto and Trismegist. The permanent session drummer up to the present moment is Izbor of HABb (Nav'), who is also supported by Old Wainds members in his main band. During the Autumn 1996 they finish the debut demo "Withers of the Wind", which is sold out and unavailable by today. December 1997 is followed by "Here, Where the Snows are Never Gone" demo\album, which is an already legendary milestone by now. Merciless Nordic Holocaust Black Metal Aggression with no compromises. 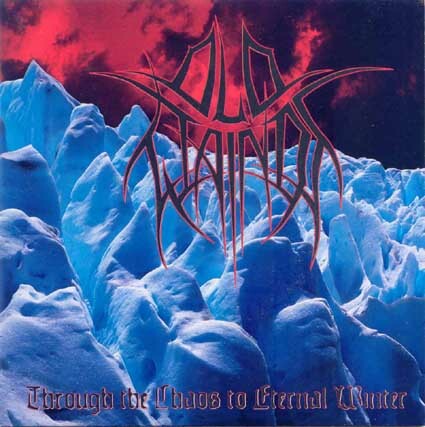 Year 1999 the third promo\demo "Through the Chaos towards the Eternal Winter" was recorded, a pair of years later this work of the band was released by Miriquidy Prod. (GER) as vynil 7"EP. The Chaos of 2000 was celebrated by the unreleased rehearsal tape. And finally in July 2001 the new fullength album "Religion of the Spiritual Violence" was completed. The same year Stellar Winter Rex. (RUS) have re-release "Here, Where the Snows are Never Gone" in pro-tape format and Spring 2002 Miriquidy Prod. (GER) have released "The Religion..." CD which made Old Wainds known rather widely among the circles of radical BM worldwide. Nowadays band still strive to carry on their hateful intolerant message and the next fullength album is planned for 2003.